The AIBE 9 exam took place on 6th March 2016 throughout India, except few centres. Result for AIBE-IX would be declared on 21st May, 2016. All India Bar Examination-VII is likely to be held on 29th june, 2014. Result for AIBE-VI has been published. The AIBE 6 exam took place on 19th January throughout India, except few centres. Result for AIBE-VI would be declared on 25th February, 2014. The AIBE 6 exam has been rescheduled to 19th January 2014. The last date for challan payment at SBI has also been extended till 13th December 2013. Online Registration for AIBE 6 Examination shall commence from 5th of October, 2013. All India Bar Examination will be declare the AIBE 5 Examination Result 2013 on its official website www.allindiabarexamination.com very soon. The All India Bar Examination AIBE 5th Examination was conducted on the date 25-08-2013 at various examination centers in across India. The number of candidates appearing in exam is increasing year by year. Perhaps, candidates have made their mind that they have to appear for the exam, and there is no escape from it, as even the court have given verdict by now, though Law Graduates can practice as Advocate and take AIBE exam later, subject to conditions imposed by Bar Council of India..
AIBE-V exam is going to be held on 25th August 2013. Candidate are requested to download their admit card from AIBE website after 13th August onward. The AIBE 5 Admit Card (Hall Ticket) would be available for download for all the candidates on 15th August, 2013. Download the electronic copy of Model Question Paper for the open book All India Bar Examination. Download the electronic copy of Answers and Explanations to the Model Question Paper. The last date for verification of Admit Card has been extended till 13th August, 2013 up to 5.00 P.M. The candidates who have still not completed the verification process are requested to complete the process as soon as possible. All the candidates who have applied for All India Bar Examination 5 through online or offline application forms, have been notified to download their Admit Card (Hall Ticket) online from our website after 31st July, 2013, as the same will not be delivered to the correspondence address of any candidate. 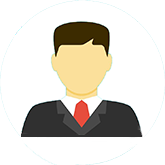 Candidates are required to send their Advocates ID card self attested photo copy along with their application form. In case the candidate have already send the application form, please resend the self attested advocate id card photocopy at the address given below. Due to lots of request from Candidates and various State Bar Councils, where enrollment is due in the month of June-July 2013, the All India Bar Council has decided to extend the date for ALL India Bar Examination-V, to facilitate newly enrolled candidates to appear for All India Bar Examination. The details of the new examination dates are given below. There are many candidates across the country who were earlier declared as PASS in the AIBE-4 exam on internet, but later on they were marked as fail. The AIBE website says that this has been due to some error and now they have verified the results of those candidates and their final result is FAIL. So they are advised to appear in the coming All India Bar Examination 5 to get their passing certificate. The notification for All India Bar Examination 5th (AIBE-V) have appeared on the BarCouncilofIndia.org website. The notification says that bar Council of India had scheduled to conduct All India Bar Examination-V on 14th of July 2013. For this online applications have been invited from the interested advocates, so as to appear in AIBE-V. The online registration have started from 20 April 2013 and will end on the 30th may. 2013. The procedure to register for AIBE-V is mentioned below. You can find the details of the application form and other conditions that are required to be fulfilled by the advocates aspiring to appear in this examination on www.allIndiabarexamination.com. The registration fee for AIBE-V is Rs.1950, which includes bank charges. It is worth mentioning here that fresh candidates as well as repeating candidates have to pay the same fees, unlike last time. 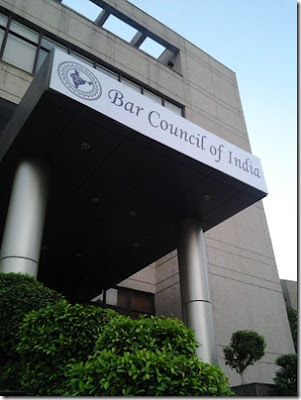 The Bar Council of India (BCI) has rescheduled the All India Bar Exam V that was set for 14th July, 2013 to the tentative date of 25th August, 2013. 3). Once the candidate registers, the format for bank challan becomes available for the registered account. The candidate needs to fill the challan and submit the fees at the nearest State bank of India branch office. Note: the application fee for fresh and repeat candidates is Rs.1950. 4). Once the application fee is acknowledged, the candidate can print the application form by login into the registered account. Note: if the candidate have already submitted the fees and still the application form is not available, the website has been noticed to recommend the candidate to wait for at least 24 hours. Note: the candidate needs to send the application form with all required documents. The website says that incomplete applications are application with incomplete documents were rejected. Last date of the online registration is May 30, 2013 and the last date for submission of fees through challan is May 31, 2013. The last date of receiving complete application form along with supporting documents is June 10, 2013 at bar Council of India office. Fixed line : 0120-4217086, 0120-6400628, 011-49225022/23. You can always call them to verify anything about the test. i was thinking his exam will not be taken anymore. AIBC should conduct it before LL.B starting.